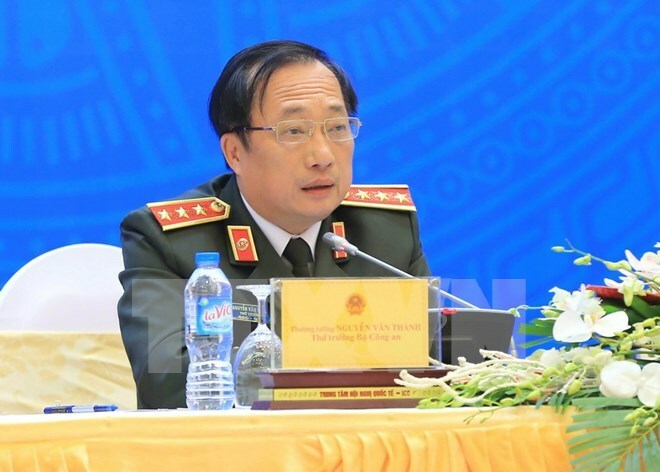 Hanoi (VNA) – Deputy Minister of Public Security Nguyen Van Thanh has led a Vietnamese delegation to attend the three-day Global Cities Summit 2017 that opened in Dubai, the United Arab Emirates (UAE), on March 7. As a founder of the World Council on City Data (WCCD), Thanh highlighted the organisation’s efforts in building ISO standards of cities in the world. These standards have been used as references for city leaders to design growth and sustainable development policies as well as plans for standardised living conditions meeting security, safety and social welfare requirements, he said. The deputy minister affirmed that the event was a chance for city authorities and policymakers to exchange views on ideas and solutions on management, and expand connectivity and cooperation for sustainable, prosperous and inclusive growth amidst the ongoing fourth Industrial Revolution and development of the Internet. Thanh also presented his ideas on building security, safety and social welfare indexes for a smart city in the world as well as the application in Vietnam. He said the development of cities from eco-cities to economic, green and smart cities is an inevitable trend in the world, adding that urban managers need to share information to ensure the indications and sustainable progress in developing smart cities. Meanwhile, Abdulla Abdul Rahman Al Shaibani, Secretary General of the Executive Council of Dubai and Canadian Senator Art Eggleton, Chair of the WCCD’s Global City Leaders Advisory Board, both underscored that standardised data is an important tool in building and developing cities in the world. The use of the database will help city leaders get an overview of various issues, thus working out sustainable development plans for their cities, they added.